Update: Henry Selick, who helmed Gaiman’s Coraline, is now attached to direct 'The Graveyard Book' at Disney, so expect it animated in stop motion. Walt Disney Pictures has secured the rights to Neil Gaiman's 'The Graveyard Book,' the book was supposed to be brought to the screen by Neil Jordan but the film kept getting delayed, Jordan is very likely no longer attached to the film. 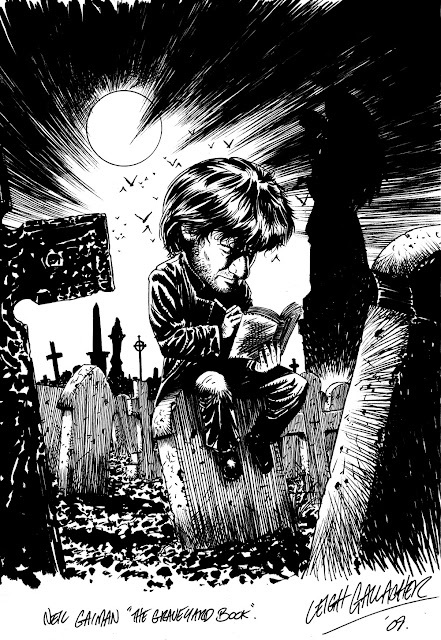 Bod is an unusual boy who inhabits an unusual place-he's the only living resident of a graveyard. Raised from infancy by the ghosts, werewolves, and other cemetery denizens, Bod has learned the antiquated customs of his guardians' time as well as their timely ghostly teachings-like the ability to Fade. Can a boy raised by ghosts face the wonders and terrors of the worlds of both the living and the dead? And then there are things like ghouls that aren't really one thing or the other.